In Beijing arrived a second team of U.N. nuclear experts, who are going to North Korea to supervise the shutdown and sealing of the country's sole plutonium-producing reactor. The six-member International Atomic Energy Agency team will replace an initial team that went to North Korea on July 12 to monitor the shutdown of the Yongbyon reactor, the key component of the North's nuclear program. "I am leading the second verification mission to the DPRK," Ryszard Zarucki, a Pole, told reporters at the Beijing airport. The Democratic People's Republic of Korea is the formal name of North Korea. "We will travel tomorrow to Pyongyang and will continue activities as stated in the board documents," he said, referring to the IAEA board. Once it arrives on Saturday, the team is expected to stay in North Korea for about two weeks. Officials said the team would put agency seals on parts of the complex that have been closed and supervise the installation of surveillance cameras, whose recordings will be regularly downloaded and analyzed. 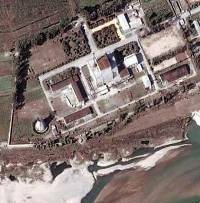 The IAEA confirmed last week that North Korea had shut down its sole functioning reactor at Yongbyon - the first tangible progress after years of negotiations involving the U.S. and other regional powers. Agency chief Mohamed ElBaradei called it "an important step in the right direction, but only the first in a long journey." IAEA inspectors also are working to verify the status of two unfinished reactors, a spent fuel reprocessing facility and a fuel fabrication plant. The North exploded a test nuclear weapon in October, but four months later agreed to scrap its nuclear program in exchange for economic and political concessions in a deal with the U.S., Russia, China, Japan and South Korea. It will eventually receive the equivalent of a total of 1 million tons for disabling its nuclear facilities under a February agreement with the five countries. North Korea has begun receiving 50,000 tons of oil from South Korea as a reward for shutting down Yongbyon, which is located 100 kilometers (60 miles) north of Pyongyang. The shutdown is the first step North Korea has taken to scale back its nuclear ambitions since the crisis began in late 2002.